FREE VALUATION. To buy, auction, sell or consign your Three Stooges puppets that are for sale, please email Nate@NateDSanders.com or call the Nate D. Sanders Auction House (http://www.NateDSanders.com) office at (310) 440-2982. 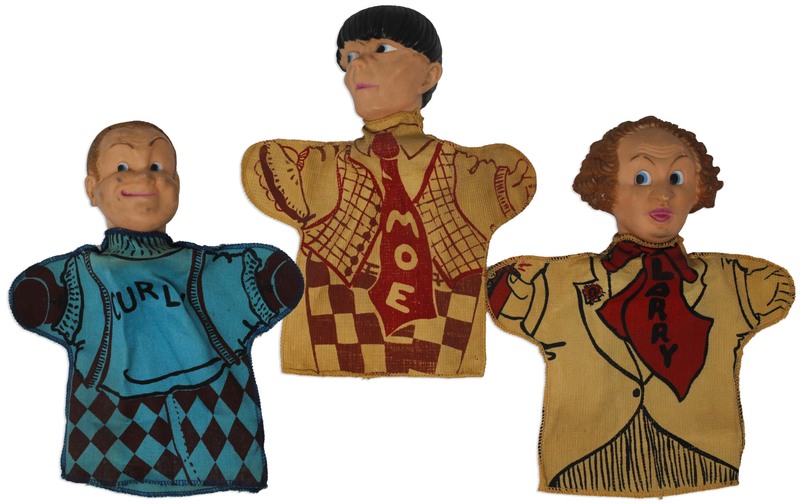 “The Three Stooges” were active between 1927 to 1970 and during that time many Three Stooges themed activity kits, toys and games were manufactured for children. 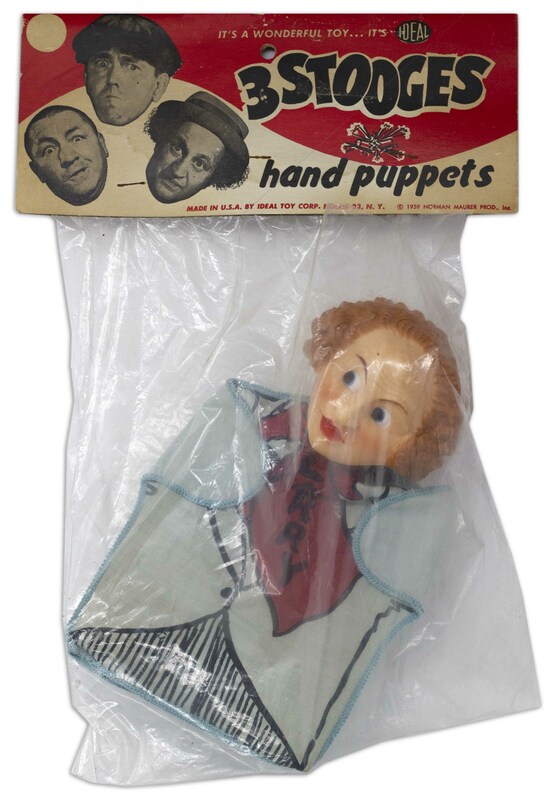 One of the most popular and earliest of these produced was Three Stooges character puppets. 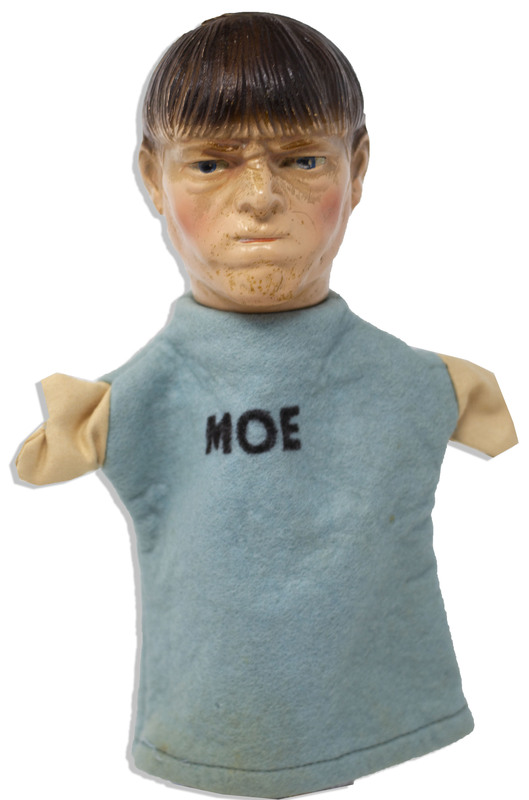 Our May or June auction will feature a variety of finger and hand puppets designed after the Three Stooges, as well as screen-used puppets from “The Three Stooges” television show. Below are puppet items that will be auctioned. 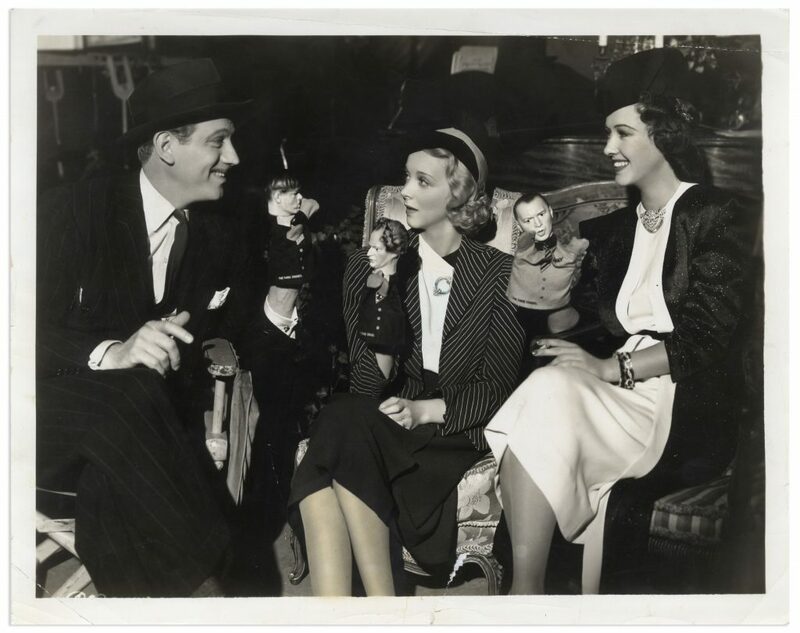 1937 Photo of Melvyn Douglas, Virginia Bruce and Margaret Lindsay Holding Three Stooges Hand Puppets . Click to enlarge. Three Stooges Set of 3 Hand Puppets, Circa 1959. Click to enlarge. Moe Howard Three Stooges Puppet. Click to enlarge. 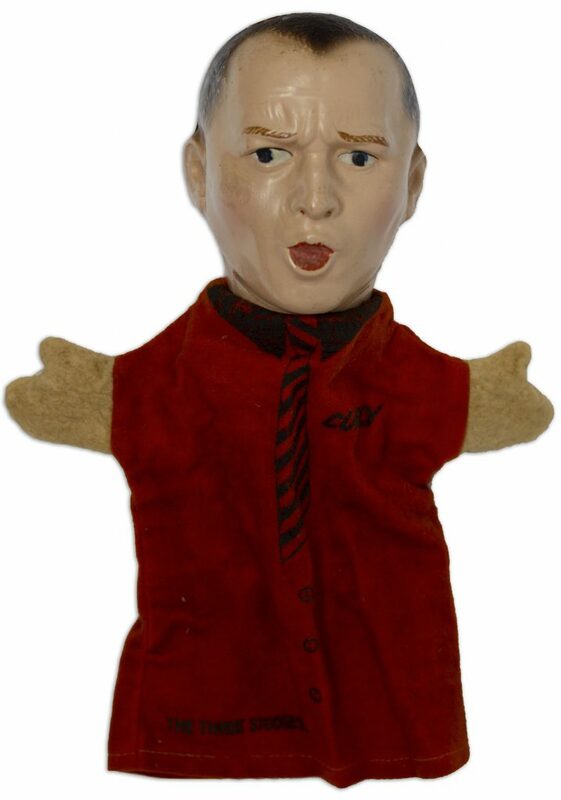 Three Stooges Puppet From 1959 of Curly. Click to enlarge. 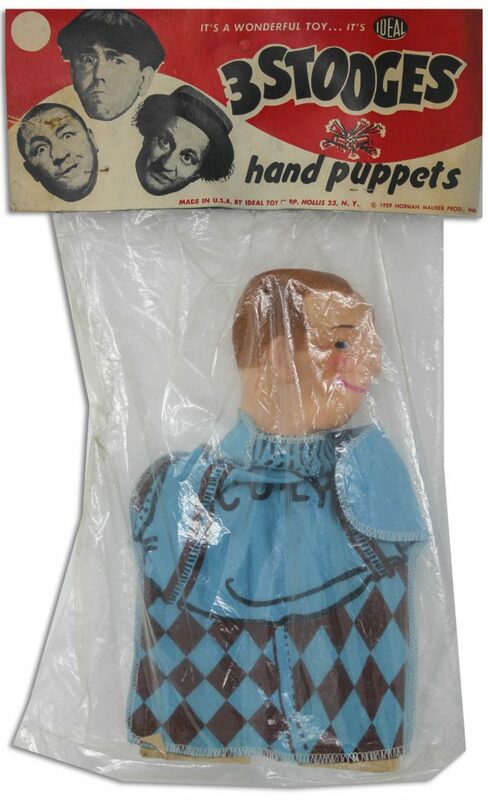 Curly Three Stooges Hand Puppet From 1959. Click to enlarge. 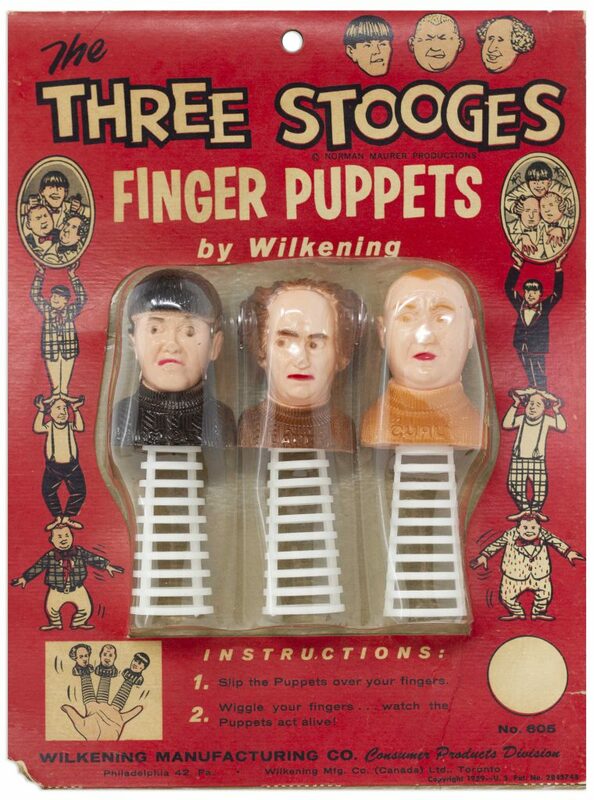 Three Stooges Finger Puppets. Click to enlarge. Three Stooges Finger Puppet Set From 1959. Click to enlarge. 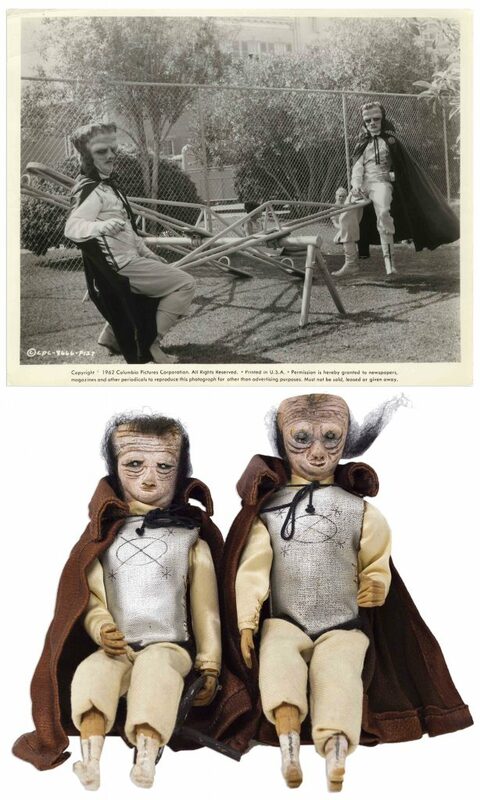 Screen-Used Martian Figurines From “The Three Stooges in Orbit”. Click to enlarge. 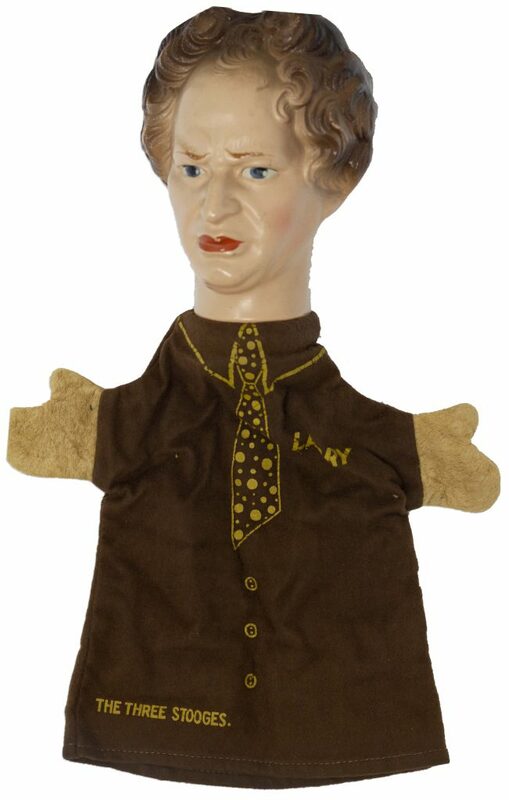 Larry Three Stooges Hand Puppet from 1937. Click to enlarge. 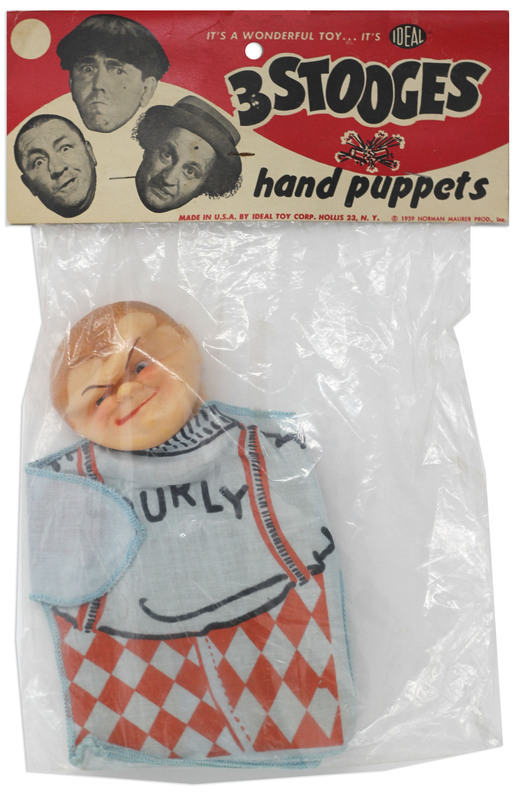 Curly Three Stooges Hand Puppet, Circa 1937. Click to enlarge. 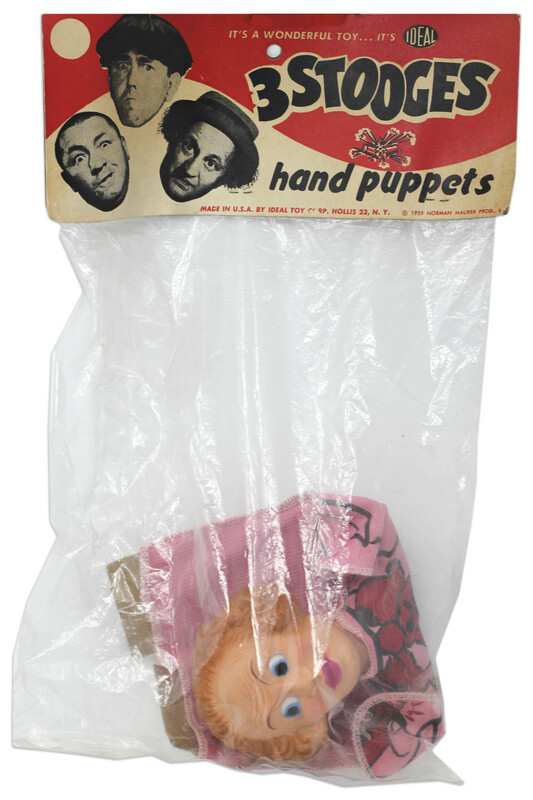 Larry Three Stooges Hand Puppet From 1959. Click to enlarge. Three Stooges Hand Puppet From 1959 of Larry Fine. Click to enlarge. 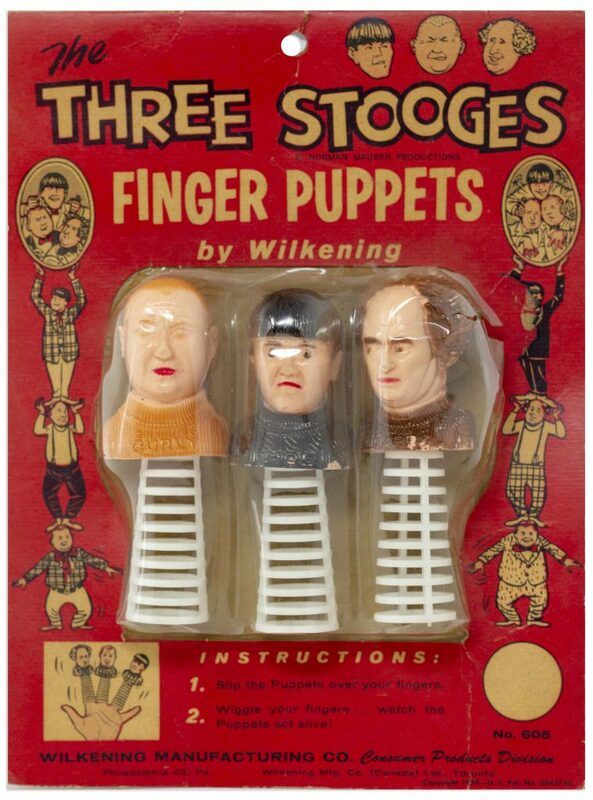 Please let us know if you have Three Stooges puppets for sale. Top dollar obtained for your Three Stooges puppets.